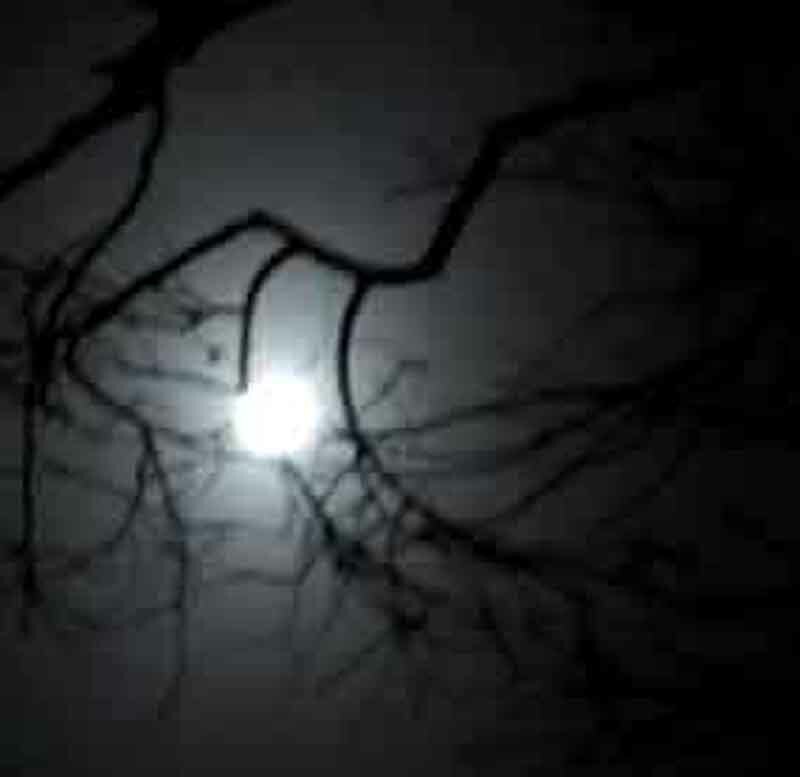 I had taken this pic – on Friday 13th 2014 night – of the perigee full moon (next such combo will be in 2049!!) . 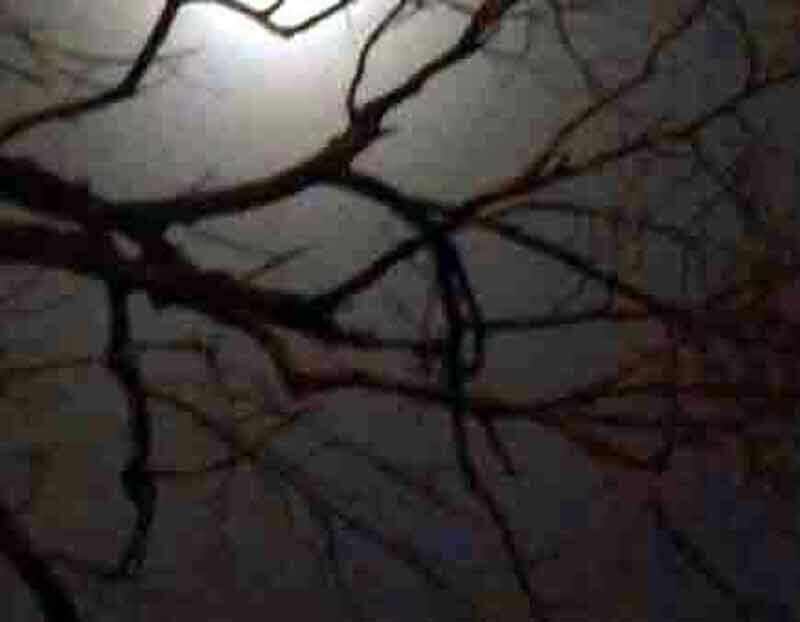 The juicy ‘honey moon’ looked mesmerizing and spooky ‘entangled’ in the branches of the tree in my ground . 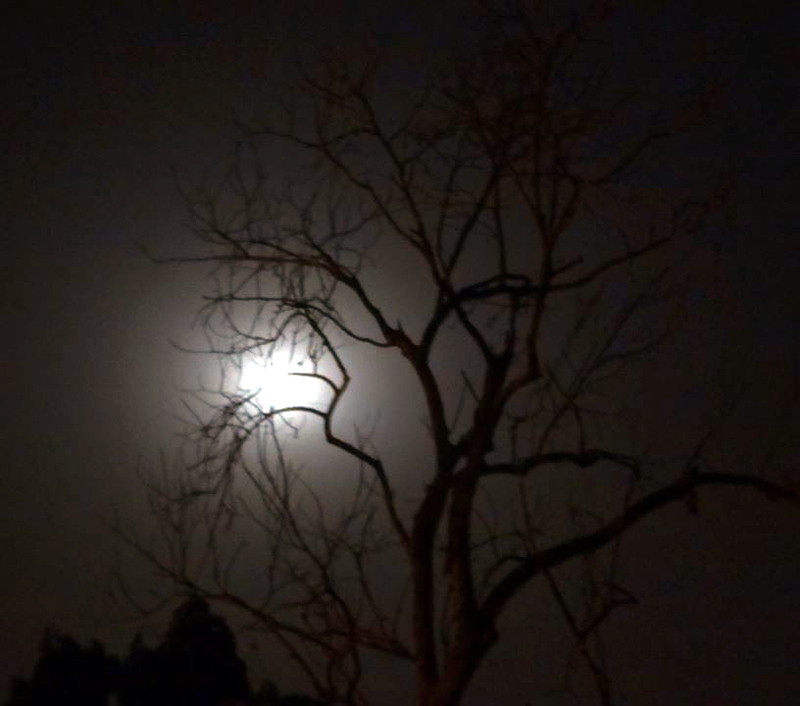 I posted it on FB – a friend commented that it looked liked a coronary angiogram and indeed it did !! Interesting – no ? ! !